Trump has made his feelings on Muslims made very clear. Step one, don’t let any more into the country. Step two, register and track all the ones that are already here. I can only assume the unspoken step three involves rounding them up and/or shipping them off. On the other end of the spectrum, Trump has said he wants to force everyone to say “Merry Christmas”. How he intends to do this is unclear, but that Christianity is his preferred religious group seems clear. 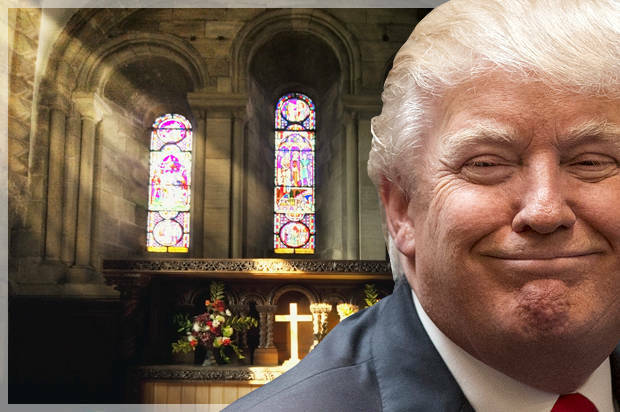 From this we can extrapolate that Trump intends to establish a new American caste system based on religion, with Christians enjoying all the benefits and privileges of being on top, and Muslims being kept very firmly under foot on the bottom. My question is, where do the rest of us fit in? In Trump’s America, what is the status of the Jew, or the Buddhist, or the Hindu? Are they near the bottom with the Muslims, based on their non-Christian tradition? What about Catholics and Mormons? Are they “Christian” enough to be near the top? And what about the Atheists/Agnostics/Nones/Others? Where do they fit in Trump’s America, if at all?